Really good scotch isn’t cheap. Decent scotch isn’t cheap. Frankly, cheap scotch usually isn’t all that cheap. That’s part of what makes this story so delightfully baffling: Aldi makes a scotch blend that costs $17.37, and it just won a gold medal at an international spirits competition. And if you’re in the United States, you can’t buy either of them. 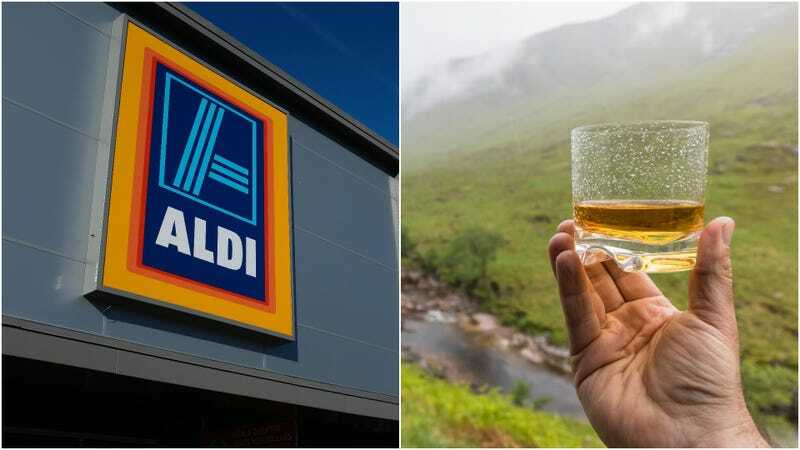 Fortune notes that Aldi is looking to expand in the U.S., and such an expansion would make them “the third-largest grocery chain operator in the country.” Perhaps that expansion could include an expansion of domestically available spirits, eh, Aldi? What do you say? Some more on what we, here in the States, can’t have: Per Aldi’s U.K. site, Highland Black is a blend of “Speyside and Highland Malt whiskies,” all aged for a minimum of eight years. As with all scotch blends, those barrel-aged whiskies are blended with grain whiskies— in this case, “grain whisky from Girvan in the Lowlands of Scotland.” The evaluators at the Spirits Business described flavors of heather, strawberry leaf, and lemon oil.